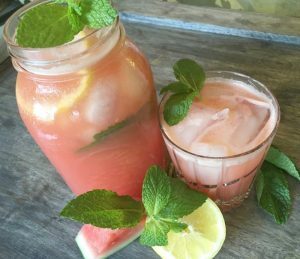 Have you ever tried a watermelon daiquiri? If not, you need to try one because it’s the perfect refreshing drink during those hot summer months. 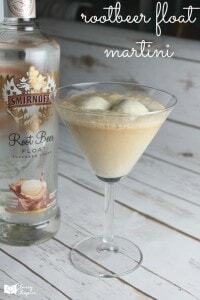 It’s also one of my easy cocktail recipes, you’re friends and family will love this yummy drink! Hosting a bbq or adult party? This daiquiri is always a hit! We even made this recipe on a camping trip last summer and everyone really enjoyed it, even the guys! Making this delicious recipe takes a bit of pre-planning but it’s still super easy to make! Just try to plan out the drink the night before to make everything quick and easy. The night before, chop up your watermelon into cubes and freeze. I try to freeze the watermelon for 24 hours. 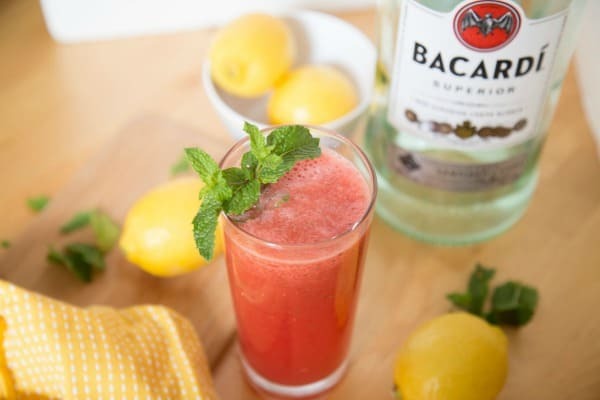 Take the frozen watermelon, lemon juice, lemon zest, rum and sugar and blend until well combined. If the mixture isn’t slushy enough, you can add in about 1/2 cup of ice till the drink reaches the consistency you are after. Serve in glass and top with basil and whipped cream if you’d like. 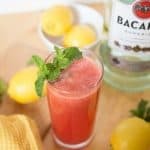 If the mixture isn't slushy enough, you can add in about 1/2 cup of ice till the drink reaches the consistency you are after. Serve in glass and top with basil and whipped cream if you'd like. 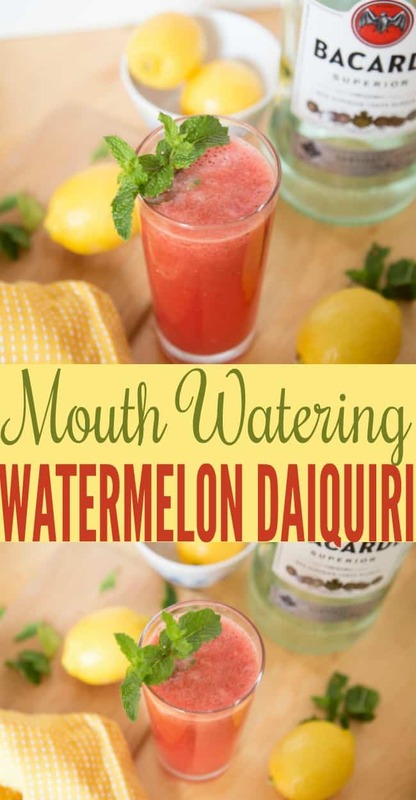 If you enjoyed this watermelon daiquiri post, make sure to check out some of my other popular posts!